Share your patriotic pride with this Star Spangled Spinner! 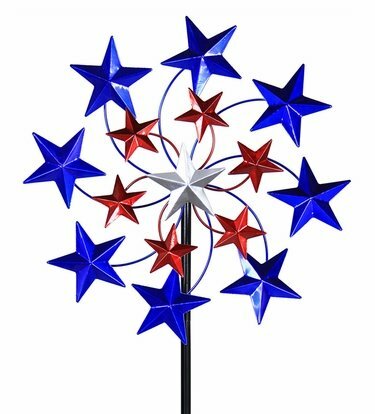 Just a little breeze sets this spinner alive, a true piece of moving art that imparts the true American spirit! Size: 20" x 7" x 58"H. Metal.